Do you like it super-hot? I may take a mouthful of my favorite spicy recipe and see my face turn red, but that is how I love it to be. The fiery taste of the food in my tongue brings the excitement of eating a challenge. Hence, I am always in charge when cooking those curried chicken! Have you ever tried cooking without using the chili paste that you usually use? I have been there. That is why I have learned some chili paste substitute that I never imagined will work. Do you have your own alternatives? What is a chili paste? Can we find many chili paste substitutes in the supermarket? Can you make your own alternative? 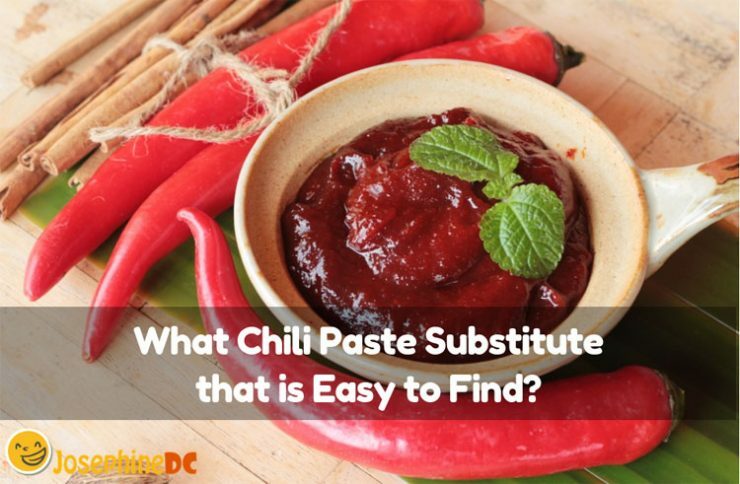 My chili paste may not be like the one that you have right now, but you should know that even though various chili pastes abound in the market, chili pepper is always the main ingredient of each one. Chili paste belongs to the condiment category. Hence, when you look for it in the supermarket, you can find it under the condiment and spices section. You will be surprised to see that you may find different names labeled on some. Along with the diverse names, the level of spiciness and flavor also varies. The supermarket is always the first that comes into your mind when you are looking for an ingredient replacement. However, when you are in front of several spices from different sources, it could get confusing. You may call it “chili paste” at home, but the terminology that some uses may be different for it. Hence, a particular spice that you are not familiar with may be one of the best substitutes. Several terms for chili paste are sambal oelek, harissa, Nam Jim, Nuoc Cham, and many more depending on the country that they originated. They may all be chili pastes, but mostly, they have a different flavor than your usual paste. 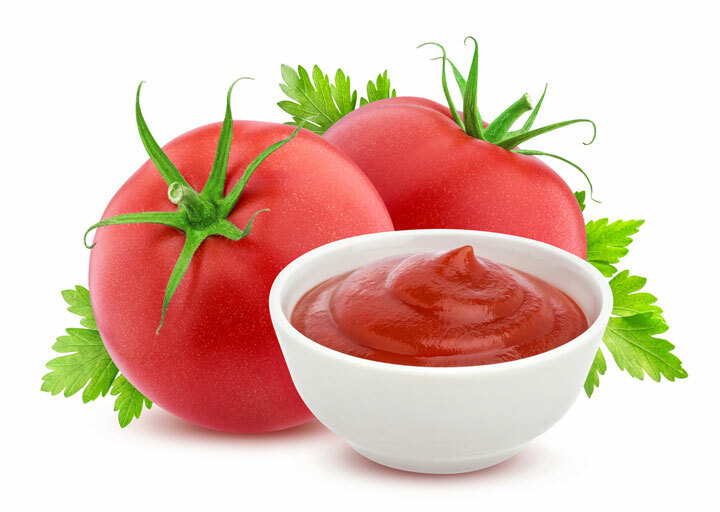 Therefore, you should consider the paste that suits best with the recipe you are planning to cook. I tell you, the supermarket can offer you many options for chili paste substitute especially in the international section. Let me share with you the alternatives that are just around the corner. It could be within the supermarket near you, your own garden, or just inside your pantry! However, can I dare you to be more creative and resourceful? Sometimes, I try the impossible just to know how it would end up being. It is always fun to challenge yourself with some cooking adventures. Hence, when you run out of chili paste, you might as well make one as a substitute. It would be convenient if you happen to have fresh red chilies in your pantry or in your garden. If you are interested in making your own chili paste, I recommend a chili recipe that could be a substitute for plenty of recipes like the one shown in this video. You can always make your own chili paste substitute. I have mastered mine for quite some time already after my grandma has taught me. I tell you, it even tastes better than the usual chili paste I use. Would you like to try it? Chop your chili peppers. I prefer my chili pepper to be chopped the tiniest possible size and if possible, still fresh. If you like, a mixture of other types of peppers likes the red cayenne. Do not forget to chop the garlic and shallots too. The purpose of the garlic is to give the aromatic taste and delicious smell of your chili paste. The shallots, on the other hand, balances the flavor of the mixed ingredients and ensure that you get the correct consistency. Add all the chopped ingredients in a pot and turn on low heat. Pour the oil and let it cool for an average of 20 minutes. Stir the mixture occasionally when doing so. It is your choice whether you want to add more oil or not. Some like their paste to be oilier but I prefer to be conservative when using oil. However, having the right amount of oil when cooking keeps your paste from burning. To add more kick and flavor into it, drop in the cumin, salt, and pepper. Continue to cook the paste while stirring for another five minutes. It will let the flavors blend well. Turn off the heat and let your DIY chili paste cool down. After cooling, it is time to place all your paste in a food processor. Process until it reaches the smoothness that you desire. The length of time of processing depends on how smooth you like your paste to be. When you finally get the ideal consistency, you may transfer the processed paste into a container jar and store it in the fridge. Remember that your DIY homemade chili paste will not have the same shelf life just like the one you bought in the supermarket. Yours will not last that long. Hence, I suggest making the amount that is just enough to last. My homemade chili paste usually lasts a week when stored in the fridge, and I observed that the taste is best within this period. Most homemade chili paste recipes have red chilies as the primary ingredient. Yet, your own pantry can be your immediate source for replacement. Once, I ran out of chili paste but had no time to go to the nearest store. All I had was the line of spices on my kitchen rack. 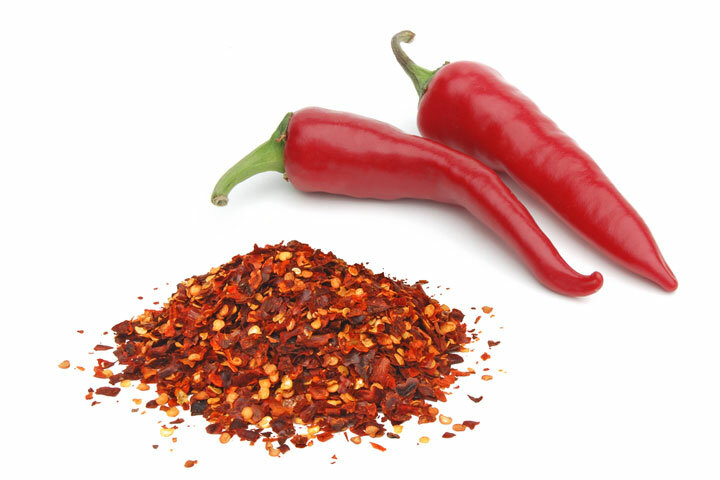 Do you know that red pepper flakes are an excellent chili paste substitute? Try to make a sweet and spicy paste by mixing a tablespoon of pepper flakes, a bit of soy sauce, and a dash of sugar. The blend is perfect together with your appetizers. There are several types of chili paste all over. Hence, there could be countless chili paste substitute everywhere. Yet nothing could be impossible with a bit of imagination. Sometimes, you will never know what you will discover. Pizza for my family is not complete without the hot sauce. Since I make pizza every weekend when everyone is around, I make sure to have a hot sauce anytime. However, chili paste is thicker than a hot sauce. Of course, hot sauce is far from being a paste, but because it is peppery hot, I consider it as an excellent chili paste substitute. 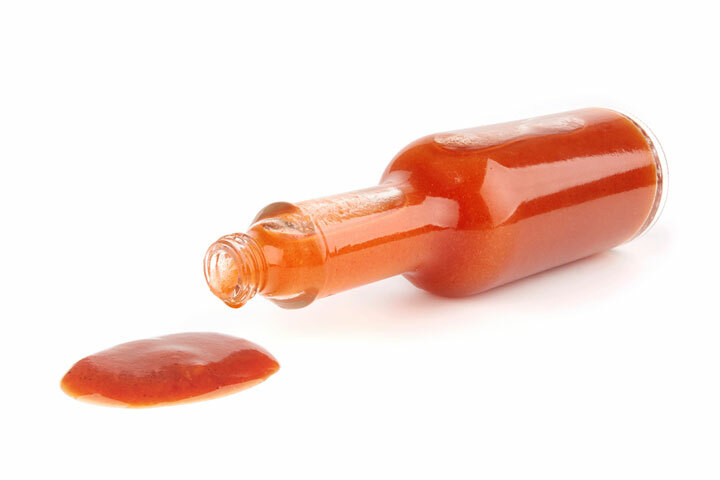 If you are curious to try the hot sauce alternative, I suggest searching for the kind that has lesser vinegar level. Chili paste does not have the vinegar taste. I told you when I am in the mood to do experiments in my kitchen there are no limits. A week ago, I tried to find a chili paste substitute that would have similar thickness like the real deal. Eyeing my hot sauce, I know that it would never be like it. Therefore, I mixed some hot sauce with my tomato paste to end up with spicy tomato paste. Hence, I got the same paste thickness and spicy tang. Not that I will recommend this to you since the taste is never the same at all. However, it served the purpose for my recipe as intended. Next time, I am planning to blend the tomato paste with the chili powder and pepper flakes. What do you think? The spicy flavor is not that difficult to acquire. With all the available resources found around you, a chili paste substitute is always within your reach. It is convenient to know that even the groceries sell different variations of chili paste, your stocks in the pantry always have one or more peppery spices, and lucky for you who loves to plant chilies! Fresh chili is still my first option for an alternative. However, how easy you may get the items, using them could be tricky. Always think about the recipe where you intend to use it. I suggest trying blending and mixing your own paste. When it comes to the kitchen, your power is unlimited!